CLEARFIELD – The Clearfield Benevolent and Protective Order of Elks held its 24th High Country Arts and Crafts Fair, which was attended by 12,000 people this year. A few months later, the Elks continue the tradition of returning money raised at the fair back to community organizations. 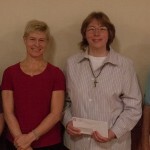 Pictured are organization representatives that received donations. From left to right, the reps are from CAST, Curwensville Civic Center, Clearfield EMS and Elks member Duane Berry, who presented this set of envelopes. 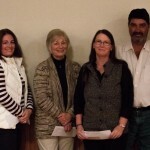 Pictured are organization representatives that received donations. From left to right, the reps are from Clearfield Agency on Aging, CAHS Swim Team, Susquehanna Rural Free Clinic and the Elks’ presenter Ron Bodel. 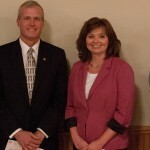 Pictured are organization representatives that received donations. From left to right, the reps are from Elks Christmas Parade, CAHS Music Boosters, Marian House, Salvation Army and the Elks’ presenter Denny Flanagan. Representing organizations awarded donations from left to right: American Cancer Society, Clearfield Swimming Pool, Clearfield Quarterback Club, and the Elks’ presenter Paul McDermott. 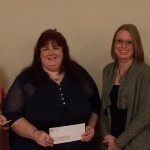 Pictured are organization representatives that received donations. From left to right, the reps are from Tag Team, Clearfield Ministerium Food Pantry (both), Clearfield Area United Way and the Elks’ presenter Joseph Waroquier. 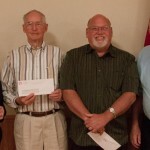 Pictured are organization representatives that received donations. From left to right, the reps are from Clearfield County Society for Handicapped/Disabled Citizens, Clearfield County Crime Stoppers, Judge Zimmer Scholarship Fund, G.T. 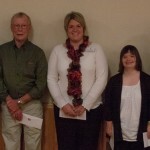 Waroquier Scholarship Fund (both), and the Elks’ presenter. 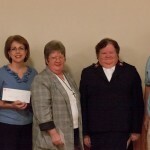 Pictured are organization representatives that received donations. From left to right, the reps are from Shaw Public Library, Clearfield-Lawrence Township Airport Authority, American Red Cross, Special Olympics of Clearfield County and the Elks’ presenter David Wright.